Actikem are thrilled to announce that we have won best ‘Supplier to the Chemical Industry’ at the 2018 Chemicals Northwest Awards. 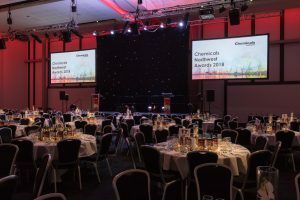 The awards were held on Thursday 22nd March at Old Trafford Cricket Ground in Manchester, to celebrate the success of Businesses working in the Chemical Industry within the North West region. Having received a ‘Highly Commended’ Award at last year’s event, Actikem were able to go one better this year by picking up a winner’s award for ‘Supplier to the Chemical Industry’. This award highlights how Actikem have successfully responded to customer problems using innovative methods to ensure we supply the best level of service possible. A fantastic night was complemented with a lovely three course meal and entertainment was provided in the form of host, broadcaster and author, Mark Radcliffe. Having been also nominated for the ‘Sustainability Award’, ‘Charity of the Year’ and ‘Young Talent in the Chemical Industry’, it turned into a night of celebration as we picked up the last award of the night. 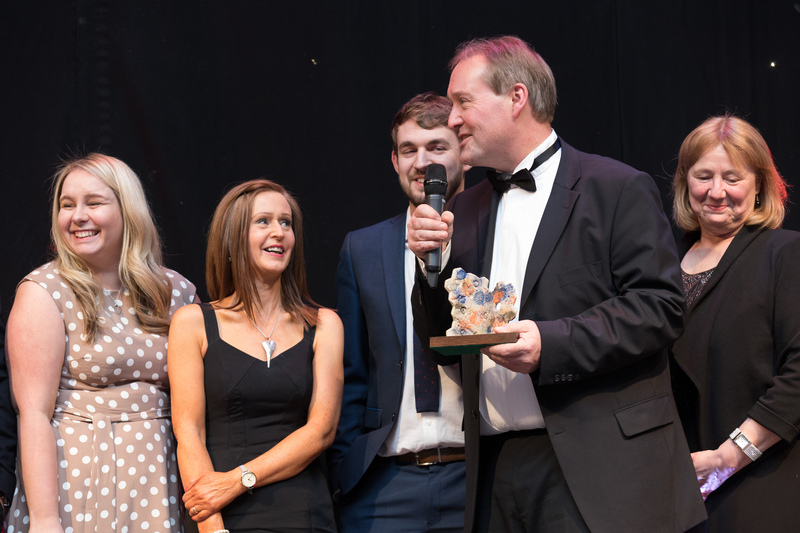 Andrew Mooney, Managing Director, had a few words to say about Actikem’s win: “We are once again delighted to receive recognition from Chemicals Northwest. A big thank you must go out to our dedicated team, who work tirelessly towards solving our customers’ problems and generating new innovative ways of doing things. This has enabled us to continue to grow and become a trusted supplier within the Chemical industry”.